Get the most out of this wonderful game with our beginner's guide. 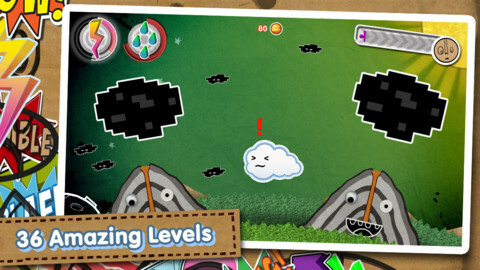 Kumo Lumo is rapidly rising up the App Store charts and with good reason. 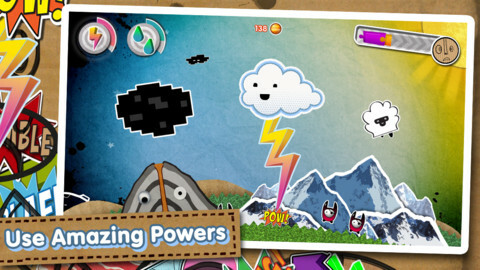 Packed with colorful, compelling gameplay and beautiful artwork, this free world-nurturing game is a must for any mobile gamer. We published our review yesterday, now here's our guide to getting the most out of the game. How do I get a three star rating? If you want to get a three star rating on a level you're going to need to grow objects, kill enemies and put out fires. Doing so will fill up the meter in the top-right hand of the screen. Max it out completely and you'll walk away with the maximum rating. Note that a level will end if you complete the objective you've been set, so make sure you've done plenty of watering before you finish your mission! How do I get hold of more sheep? 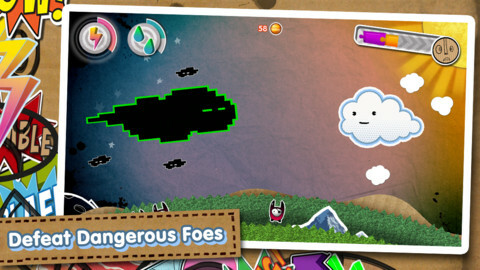 One of the missions in the game challenges you to collect a certain number of sheep. The sheep like to graze around mountains, and they'll only appear if you raise a mountain range. Make that your priority, then water the sheep gently and they'll start to float up! Once they're in the air you can move Kumo over them to add them to your collection. Every time you use your rain shower ability, or get hit by a black cloud, you'll lose some of the water in the cloud. To top it back up, you're going to need to gather the smaller clouds that are littered around the landscape. Note that forests are great for generating new clouds, so make sure you take every opportunity to grow a new bit of woodland. How do I avoid being hit by clouds? As a general rule, it's dangerous to sweep the planet around while Kumo is hanging at the edges of the screen. You won't be able to see what's coming up until it's too late. Before you rotate to a new area of the landscape, position Kumo in the center of the screen with a finger push. How do I recharge my lightning ability? The lightning meter recharges very slowly over time, so it's important to use it wisely. Save it for the volcanoes if you can, as their ashy output can cause Kumo some serious headaches. When you kill an enemy, either by showering or zapping them, you'll sometimes receive a coin in exchange. Be sure to move Kumo over these as soon as they appear, as you'll need a fair chunk of change to get hold of some of the juicier upgrades. 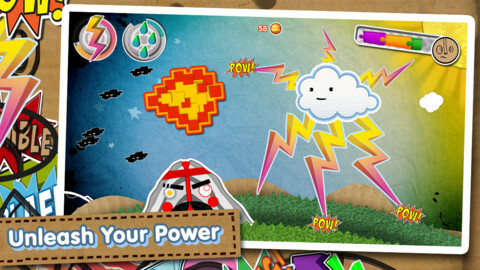 What do the upgrades do in Kumo Lumo? Here's everything you need to know about spending those coins. Head to the shop if you want to pick up these powerful upgrades. You have quite a small water meter at first, and you'll definitely want to upgrade this as a priority. The more water you hold, the more land you can generate, and this will definitely help you on the way to a three star rating. Lightning's great for zapping clusters of enemies or volcanoes, but if you really want to let the lightning rip you'll want to upgrade its power here. Just like the Water Limit, upgrading this will give you a much bigger zapping meter! Useful for levels that contain plenty of volcanoes. Getting tired of waiting for your lightning meter to recharge? Get an instant refill by spending your coins here.